In Law and Class in America, a group of leading legal scholars reflect on the state of the law from the end of the Cold War to the present, grappling with a central question posed to them by Paul D. Carrington and Trina Jones: have recent legal reforms exacerbated class differences in America? In a substantive introduction, Carrington and Jones assert that legal changes from the late-20th century onward have been increasingly elitist and unconcerned with the lives of poor people having little access to the legal system. Contributors use this position as a springboard to review developments in their own particular fields and to assess whether or not legal decisions and processes have contributed to a widening gap between privileged and unprivileged people in this country. 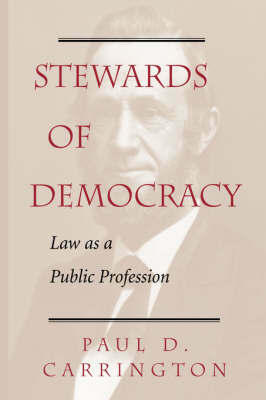 From antitrust and bankruptcy to tax and election law, the essays in this unique volume invite readers to reflect thoughtfully on socio-economic justice in the new century, and suggest that a lack of progressive reform in all areas of law may herald a form of undiagnosed class dominance reminiscent of America's Gilded Age. 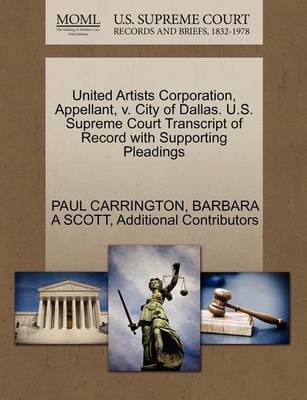 Contributors: Margaret A. Berger, M. Gregg Bloche, David L. Callies, Paul D. Carrington, Paul Y. K. Castle, Lance Compa, James D. Cox, Paula A. Franzese, Marc Galanter, Julius G. Getman, Lawrence O. Gostin, Joel F. Handler, Trina Jones, Thomas E. Kauper, Sanford Levinson, John Linehan, Joseph D. McNamara, Burt Neuborne, Jeffrey O'Connell, Judith Resnik, Richard L. Schmalbeck, Danielle Sarah Seiden, Richard E. Speidel, Gerald Torres, David M. Trubek, Elizabeth Warren, and Lawrence A. Zelenak. 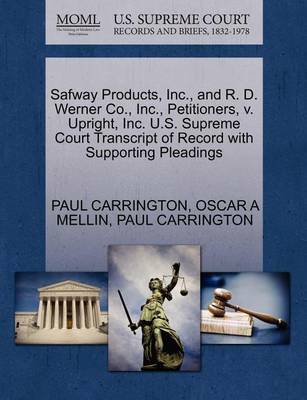 Buy Law and Class in America by Paul Carrington from Australia's Online Independent Bookstore, Boomerang Books. Paul D. Carrington is Professor at Duke University School of Law, whose many publications include Spreading America's Word: Stories of Its Lawyer-Missionaries . Trina Jones is Professor at Duke University School of Law.